As the product manager of the Geode, I’m proud. It’s incredible what a customer-focused group of GNSS-loving individuals can produce. The Geode Sub-meter GPS Receiver was developed as a solution for gathering accurate, real-time data. Though similar products prior to the Geode provided accurate GNSS readings, each user interface was complex or inflexible. Not to mention the cost of other precision receivers. We decided to change that. The Geode was designed with versatility in mind. With the ability to work with a variety of Windows®, Windows Mobile, and Android™ devices, this product aims to fit your specific GNSS needs. 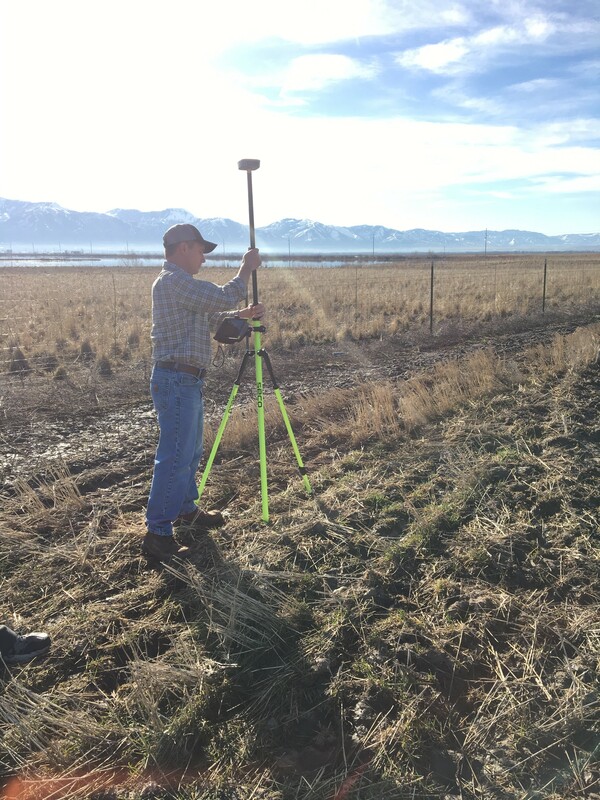 Mount it to a pole, throw it on a pack, or hold it in your hand with a Geode Tray to collect real-time, sub-meter GNSS data in harsh environments. In addition to its versatility, the Geode is all-in-one. With the receiver, antenna, and battery all compacted in one small device, it provides a complete solution for the mapping professional. 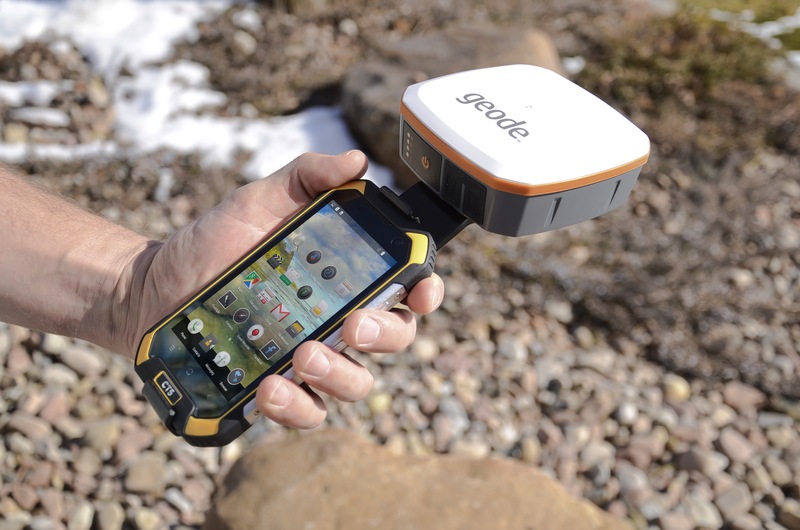 Communication with the Geode is designed to interface primarily with Bluetooth® communications to a handheld device, but can also be tethered with a wired connection if needed. This provides the benefit of being able to use the Geode with different devices as needs change, or for teams of users to share equipment and better manage resources. The Geode also has a USB port used for charging, communications, and as an interface for the product. There are currently four configurations of the Geode available, providing a range of options for each individual user. These models include: The Geode Sub-meter Receiver, the 1 Hz, Geode GPS/GLONASS Sub-meter Receiver, the Geode GPS Sub-meter Receiver with 9-pin port, and Geode GPS/GLONASS Sub-meter Receiver with 9-pin port. The product is extremely affordable, with a top-end model costing less than $2,000. In addition, software upgrades can be added to receive additional features and we are happy to work with individual customers to customize the Geode to fit their exact needs. Like I said, versatility. The major goal of this project was to provide a positioning solution that is more than anything, simple, rugged, and reliable. With the Geode, I defined simplicity as focusing on the most important aspects to include, without stacking up features to produce an “everything box”, including features that are too complex or expensive to operate. Simplicity allows the user to focus on productivity by removing tasks that don’t add immediate value. Rugged and reliable? It’s in our DNA as a company. We build rugged because our customers work in the real world, on time-critical jobs, where things get wet, dropped, and beat up. And designing an extremely reliable product was just icing on the Geode Real-time Sub-meter GPS Receiver cake. Our GNSS and RF electrical engineers designed the Geode using “best of breed” components, creating a balanced system of accuracy and dependability. We matched a high-grade GNSS receiver engine with high-sensitivity dual-feed antenna, creating a product ready to perform. 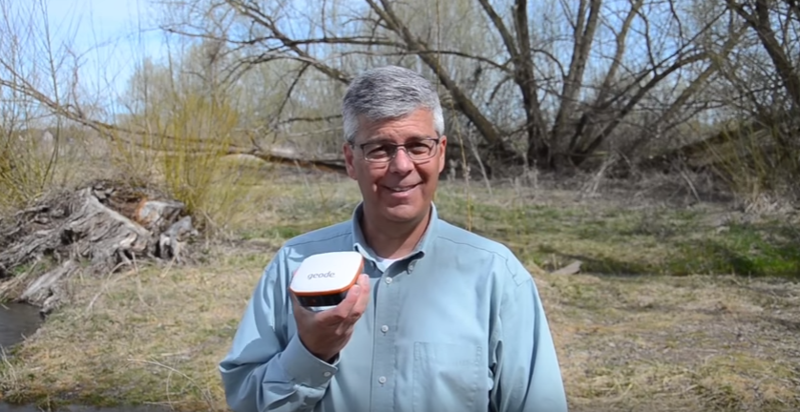 While stand-alone single-frequency GPS positions are accurate to only about 16 feet or more, the Geode receiver uses SBAS corrections and combines complex smoothing algorithms and full-wave carrier phase tracking to deliver accuracies better than 60cm 2DRMS, or 95%~98% positional accuracy. For internal power we use our Overtime Technology battery, which delivers over 10 hours of runtime in the field. And with a power button and individual color LEDs to indicate the status of the receiver, the Geode is one-button simple. Literally. The Geode receiver system also includes our Geode Connect software, designed to establish communications with the Geode to your device, and provide configuration settings for the receiver. Geode Connect is compatible with Windows Mobile 6.5, Windows PC 8/10, and Android 4.2+ operating systems. Geode Connect is designed to work for you. This means remembering what you did last, so the next time you start work your settings are already applied and the product is ready to connect. The Geode is also compatible with Juniper Systems Aspect software, and many other mapping applications available such as Esri™ Collector for ArcGIS, ArcPad™, and more. From research to production, I remained confident that the Geode would shortly become a staple in the lives of mapping professionals. Feedback from early adopters proves this theory. The Geode is meeting, and at many times, exceeding expectations. As our user base grows, we will work continuously to better the product by applying customer feedback and recognizing areas of improvement. To say I can’t wait to see where the future of the Geode takes us would be an understatement. To see how this product can provide a solution for you, fill out our short contact form here or call 435-753-1881 to talk to a member of our sales team.